This blog post continues a series exploring the DOL Fiduciary Rule (“DOL FR”). My original blog post can be found here. It appears that by negotiating for the Best Interest Contract Exemption (“BICE”), the broker-dealers have positioned themselves to serve two masters: the fiduciary standard and revenue. In order to understand this conflict, it is necessary to understand the obligations of a fiduciary in general, and the higher obligations due under the DOL’s Prudent Expert Standard. These duties are present in all fiduciary relationships (where trust and confidence has been reposed in another). However, the DOL FR imposes an even higher standard upon advisors. The DOL FR imposes the Prudent Expert Standard, which is the highest standard of care possible. It encompasses the standard fiduciary obligations outlined above, but in addition requires their application in a manner that an expert in the field would use. The “with the care, skill, prudence, and diligence” language highlighted above is what gives rise to the Prudent Expert Standard. Interestingly, the BICE Prudent Expert Standard also specifically includes elements of the investor’s profile to the application of the fiduciaries advice and explicitly excludes the financial or other interests of the fiduciary from tainting their advice. 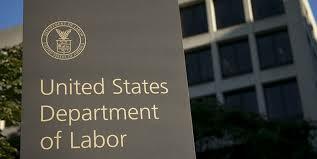 The Department of Labor’s filings related to the fiduciary rule use a shorthand phrase to summarize the fiduciary duties owed by the advisor to their client: loyalty and prudence. By stating that the duties of loyalty and prudence are “objective obligations”, the DOL is lifting the standards from the vague waters of suitability and into the realm of black and white. Advisors recommending high-fee, complex, and ill-liquid investments will find it hard to justify their actions under such a standard. Furthermore, the fact that “proof of fraud or misrepresentation” is not required to violate the duties of loyalty and prudence and that “full disclosure is not a defense to making an imprudent recommendation”, should give real pause to those advising on retirement assets. The “process the fiduciary used” (and evidence of that process) is objective. Fees, complexity, and liquidity are objective. Comparisons to other investments available at the time are objective. Risk and return assumptions are objective. Statistical and mathematical analyses are objective. Diversification is objective. Under the DOL FR, litigants will be freed from searching for “smoking guns” proving or disproving scienter. The tedious “he-said, she-said” arguments before the trier of fact will also be eliminated. Likewise, the “prospectus defense”, whereby the delivery of a prospectus is argued to be a get-out-of-jail-free card for advisors, will also be jettisoned. What is left is the objective evaluation of the process by which the recommendation was made and if it was in the client’s best interest. Many investments which may have been suitable under the FINRA rules will abjectly fail under the DOL FR. Broker-dealers should change their policies and procedures accordingly. The Bible; Matthew 6:24; King James Version. See Lemke and Lins, Regulation of Investment Advisers; 2006; 167-8, and SEC v. Capital Gains Research Bureau, 375 U.S. 18 1963. ERISA Section 404(a); Available at: https://legcounsel.house.gov/Comps/Employee%20Retirement%20Income%20Security%20Act%20Of%201974.pdf; Accessed June 22, 2017. Best Interest Contract Exemption with Amended Applicability Dates; Section II(c)(1) – Impartial Conduct Standards; Available at: https://www.dol.gov/sites/default/files/ebsa/laws-and-regulations/rules-and-regulations/completed-rulemaking/1210-AB32-2/best-interest-contract-exemption-with-amended-applicability-dates.pdf; Accessed June 22, 2017. Uniform Prudent Investor Act; February 14, 1995; Section 2(f) and related comments; Available at: http://www.uniformlaws.org/shared/docs/prudent%20investor/upia_final_94.pdf; Accessed June 22, 2017. Federal Register, Best Interest Contract Exemption, 21032. Federal Register, Best Interest Contract Exemption, 21028. Although this argument is frequently made, FINRA and the SEC have clearly opined that the delivery of a prospectus is not a defense to an otherwise unsuitable investment, and that it does not cure misrepresentations or omissions made as part of a recommendation. See FINRA NTM 05-59 – Structured Products, at footnote 3; 8. Click to view useful links on our DOL Fiduciary Rule - Securities Litigation Resources page.